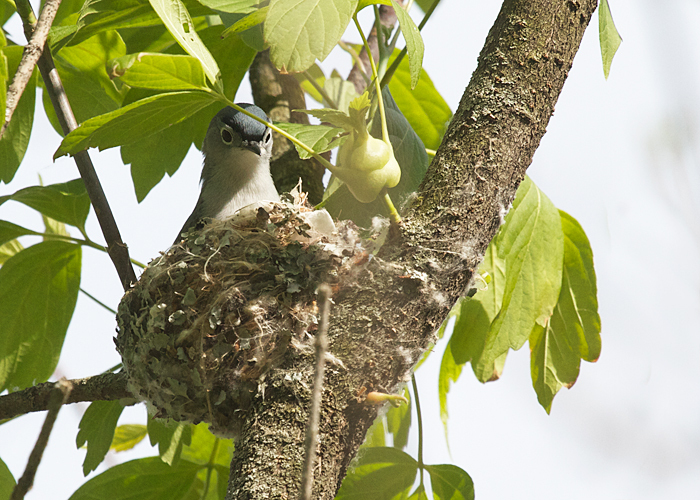 Hearing a little song like a bee's buzz, I look up and see a pair of blue-gray gnatcatchers. A moment later one of the tiny birds goes to the nest they're building. It looks so soft and cozy, decorated with bits of lichen, for a moment I long to be a baby bird in the nest up in that swaying tree. 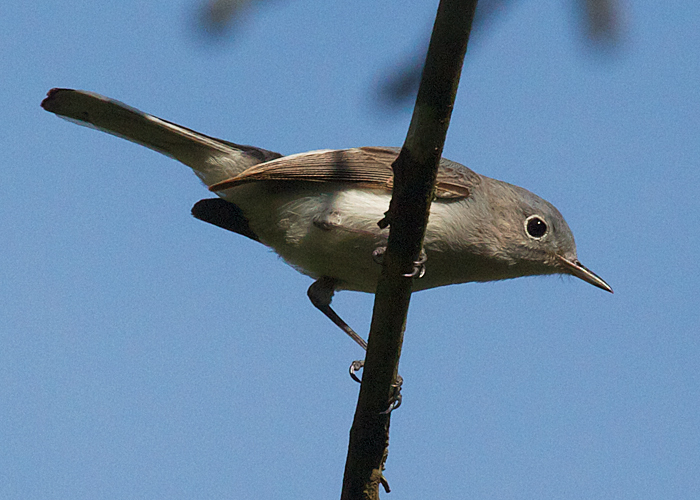 Here's another picture of one of the gnatcatchers. What a long, expressive tail it has! What big eyes it has!